Whether you need an extra pump or need to replace an old one, the Server Products 81320 pump fits perfectly on heated appliances that hold the Server 94009 stainless steel 3-quart jar. 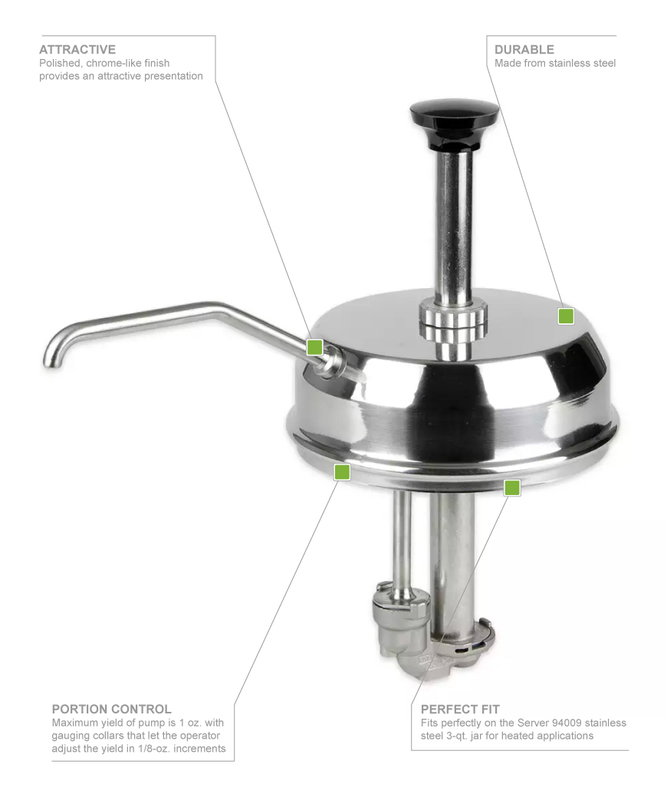 The condiment pump features a polished chrome-like finish. If you want to change how much the pump portions out, it is adjustable in increments of 1⁄8 ounces with gauging collars. 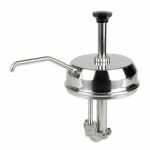 Since the pump is stainless steel, it is durable for long-term use and cleaning it is simple. The Server Products 81320 pump is NSF certified.